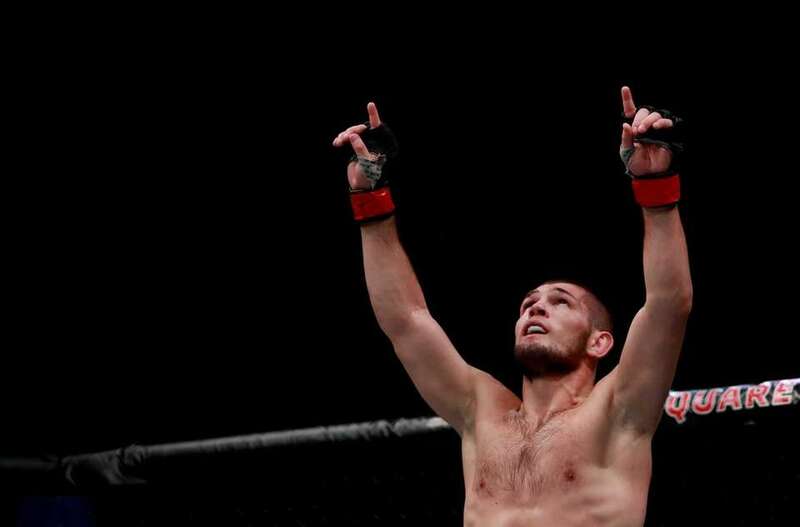 Khabib Nurmagomedov beat Michael Johnson by submission in the prelims at UFC 205 on Saturday at Madison Square Garden. 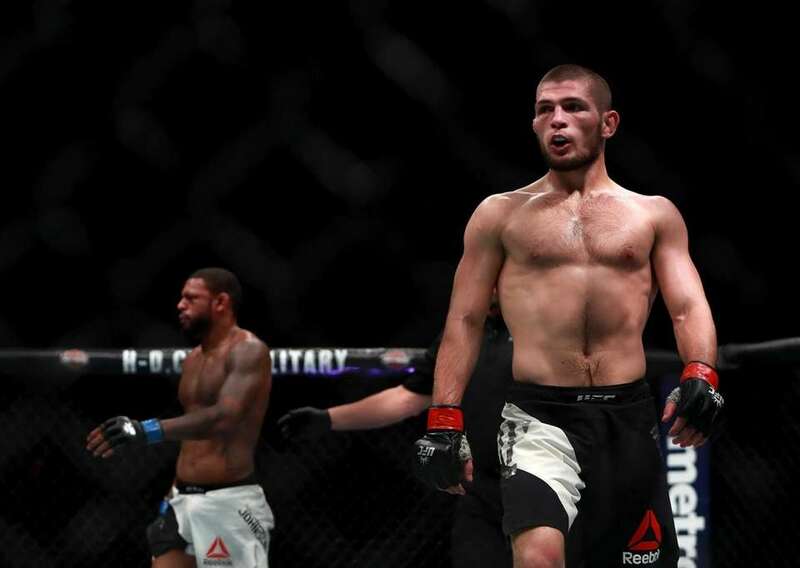 Khabib Nurmagomedov of Russia reacts against Michael Johnson of the United States in their lightweight bout during the UFC 205 event at Madison Square Garden on Nov. 12, 2016. 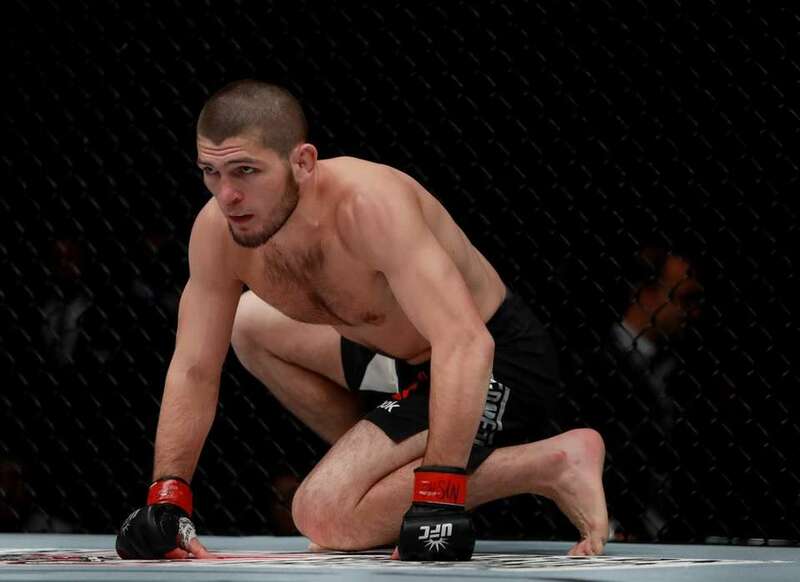 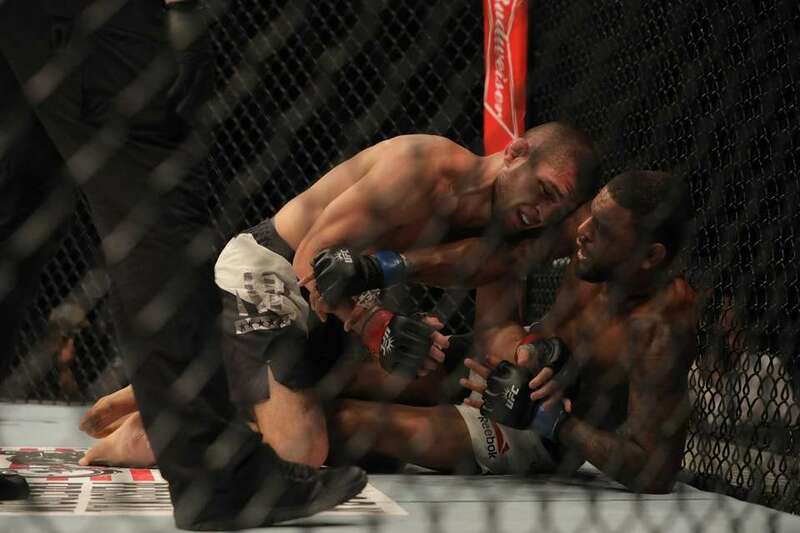 Lightweight Khabib Nurmagomedov beat Michael Johnson by submission in the third round at UFC 205 at Madison Square Garden on Nov. 12, 2016. 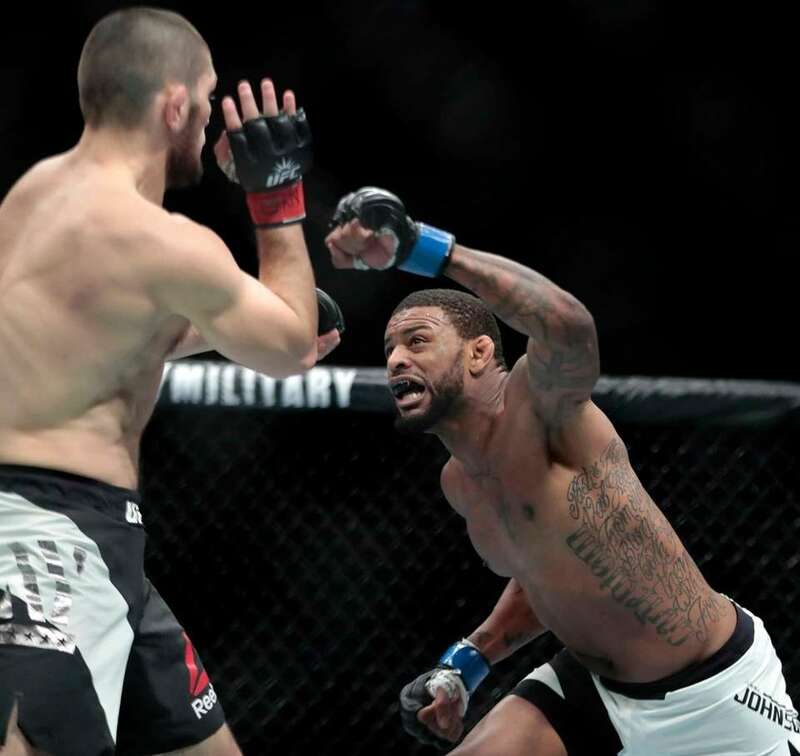 Michael Johnson, right, throws a punch at Khabib Nurmagomedov during a lightweight mixed martial arts bout at UFC 205, Saturday, Nov. 12, 2016, at Madison Square Garden. 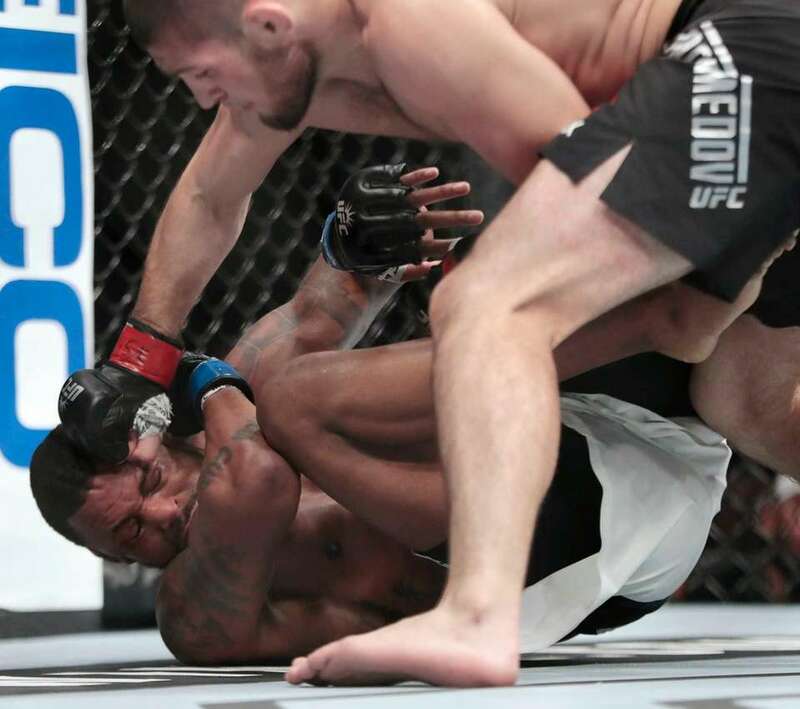 Khabib Nurmagomedov, top, punches Michael Johnson during a lightweight mixed martial arts bout at UFC 205, Saturday, Nov. 12, 2016, at Madison Square Garden.